Soviet Union's Defence Minister Dmitry Yazov has been named in the so-called January 13 case in Lithuania. He is accused of establishing in late 1990 an organized group of 160 army officers and political figures, aimed at re-incorporating Lithuania into the USSR, according to the indictment drafted by Lithuania's Prosecutor General's Office. On Friday, prosecutors started reading the indictment in the January 13 case at Vilnius Regional Court. Residing in Moscow, Yazov, 92, was not present at the hearing in Vilnius and was represented by a lawyer appointed by the State of Lithuania. The indictment states that Yazov organized the group together with now deceased Soviet political figures, including Soviet Interior Minister Boris Pugo, Vladimir Kryuchkov, chairman of the State Security Committee, and Oleg Shenin, secretary of the Central Committee of the Communist Party of the Soviet Union and a member of the Politburo. 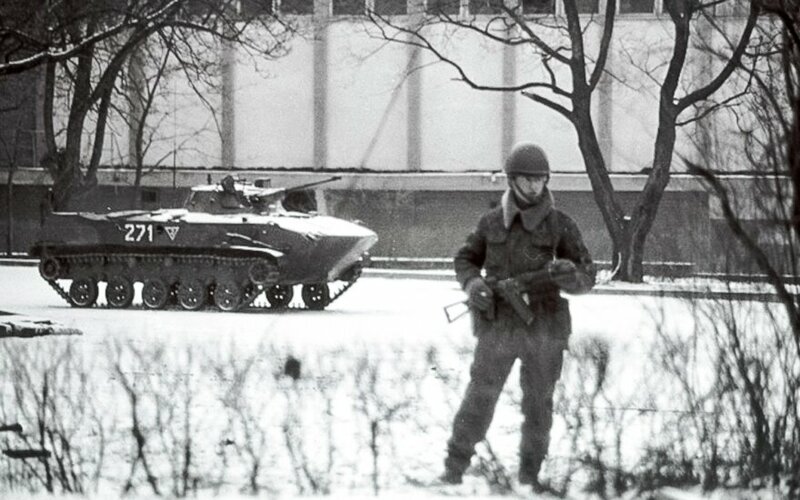 The Lithuanian prosecutor claim Yazov was aware of the fact that Lithuania was an independent state between the two World Wars and declared the restoration of its independence on March 11, 1990. According to the indictment, through the Communist Party and various organizations, Yazov and his followers ordered other officials "to draft a plan of taking over power in Lithuania, to compile a list of strategically-important objects, including state government and governance institutions, objects of public information, communication and transport". The document states that based on the plan of criminal activity, the Soviet Union launched aggression and an armed conflict in Lithuania. Russia's Ministry of Foreign Affairs has criticized the ongoing January 13 trial in Lithuania, stating that Russian citizens are prosecuted illegally. "The actions for which the Russians are being charged in Lithuania are interpreted in a biased manner, abusing international law," Maria Zakharova, spokeswoman for the Russian ministry, tweeted on Friday. She called for the release of detained Russian citizen, former army officer Yury Mel, due to health reasons by softening the measure of suppression for him. "We hope the 'January 13, 1991' case will not turn into a political show trial," Zahkarova tweeted. The tweets came in response to Vilnius Regional Court's decision on Friday to start the examination of the merits of the January 13 case. Over 60 former Soviet officers are defendants in the case, charged with war crimes and crimes against humanity. All but two of the defendants are standing trial in absentia. The majority of other defendants reside in Russia or Belarus and the two countries have refused to provide legal assistance to Lithuania.